Most bus drivers in Bangladesh do not get paid monthly salaries but earn commissions based on the number of passengers picked, leading them to race each other for passengers. 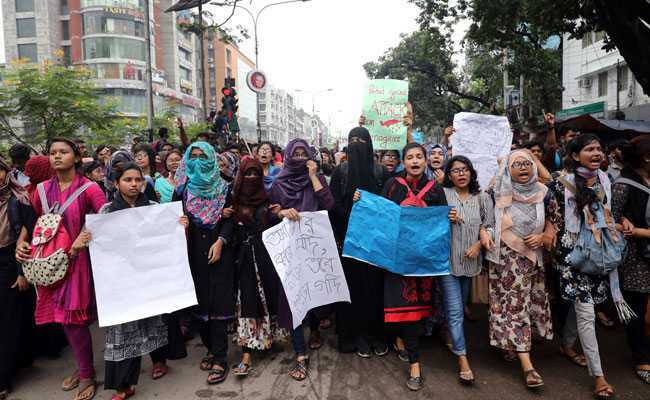 Khurshid Alam says he pulls 17-hour shifts three days a week driving a private bus in Dhaka, where tens of thousands of students held angry protests for over a week demanding an end to rash driving that killed two teenagers late last month. "I start driving at 6 am and continue up to 11 pm," said a bearded Alam, 45, as he got ready for a trip on his green and ash bus with a cracked windshield, in a city teeming with scuffed up buses and beaten-up, used cars. He said he works for three days a week, making up to 1,200 taka ($14) a day. A bus driver on contract with the Delhi Transport Corporation in neighbouring India earns as much as three times that.